Due to increasing customer expectations, there is a growing demand for call center software. According to a survey, 61% of respondents prefer phone calls as a source of help. Call center software is not only practical to increase efficiency, but also affordable. This enables businesses to provide better service and resources more effectively. To improve customer support services, keep reading to find out what the call center software is and how to create it. 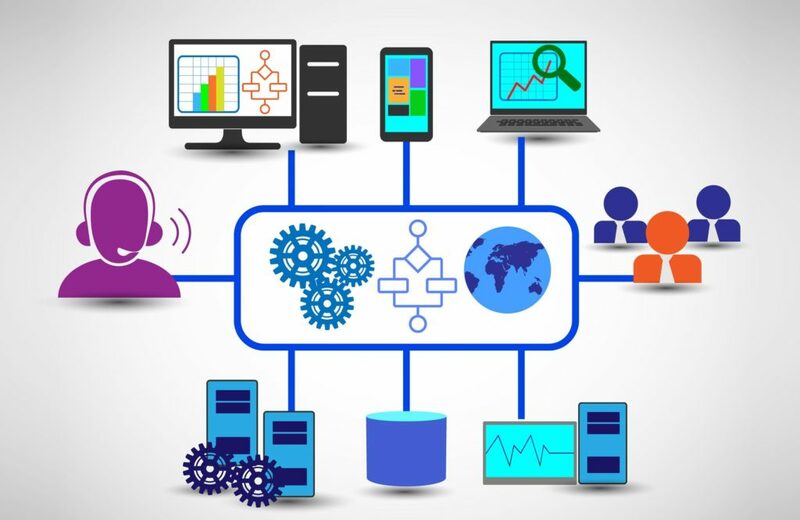 A call center software solution, dedicated in the inbound or outbound call center environment, provides dedicated features for contact center software, offering agents with tools they need efficiently and receive large amounts of calls, root collars, And provide customers and customers support in the shortest time in the phone. An inbound call center Software is a customer helpdesk. Agents receive phone calls from customers and customers and help solve their problems. 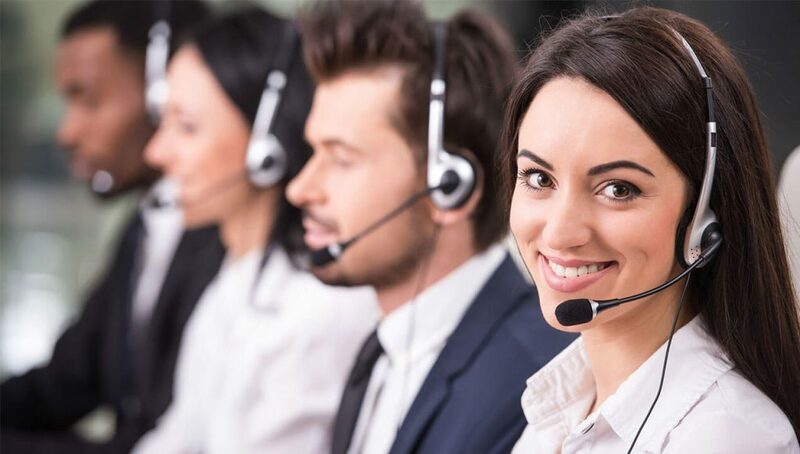 An inbound call center can meet the 24-hour requirement of customer service, handle any type of phone call for businesses, and route calls to the right technicians so that customers can be satisfied with the services is. An outbound call center is a telemarketing operation. Outbound activities done by agents for potential customers are called calls. An outbound call can provide additional information to customers on existing products and services or bill payment reminder. This kind of call leads increase customer base through generation, research and product promotion. Who should have call center software? Today, only large corporations can establish their customer service call centers. Therefore, a call center software solution is ideal for small business owners, who require a large number of calls with high call quality and efficiency, as well as provide good customer service at a lower cost. The segments using call center software include Real Estate, B2B, Advertising, Recruitment, Education and Retail. Expensive hardware It costs a lot to run your own call center. They require big and expensive hardware such as private branch exchange (PBX). A PBX is a phone system that allows all end users to switch calls between enterprise users at the local users while allowing all the end users to call the same number on an external phone line. Technical team A call center requires a whole department of IT experts to meet the technical requirements. And, of course, you need to spend money on salary and training. Managing a call takes a lot of time. Agents spend more time punching thousands of phone numbers on the dial pad, as they speak with leads and customers. It’s a waste of business, money and human waste. Low conversion rate. In-house staff or freelancer can not always provide the necessary service to help you reach sales goals. Without the rating to show the quality of work of each operator, there is no convenient analysis to see the results of the call. No expensive hardware With call center software, there is no need to spend money on the hardware. Unlike a traditional call center which uses expensive telephone lines, the call center software is completely digital and uses affordable voice over Internet protocol (VoIP)& IVR Software technologies to provide internal and external communication over the Internet. The hardware only requires a computer and microphone headset, and of course, a good internet connection. Archiz Call center software facilitates the creation of a large customer base, expanding into new markets and increasing the company to its full potential. Operating Flexibility. Today’s call center software provides a solution in all that is easy to use even for new agents and is designed to adapt to a variety of operations. The software can be integrated with existing applications for CRM, e-commerce, marketing, and other purposes. High conversion rate. Due to convenient analytics systems, customers can see immediate insights into the performance of the call center team. The report may include data such as a number of calls per day, wait time and service level. This information helps to improve the team’s productivity and the interaction of agents with those who call businesses. Conversion rates can be increased because the software supports call center scripts. These scripts can be completely used to extend every word that should be spoken by agents in a given position or something as simple as the original framework. For cold calling, script agents give pointing points to keep leads on the phone and to get the most out of them. In essence, these scripts help each of the call center team to be integrated, accurate and effective. In general, call center software helps to scale small businesses quickly. Apart from this, it facilitates call center management and enables a team to make and receive more calls than to call with a traditional call center. It is clear that more and more small businesses are turning to this software to reach and speak to their customers. Smart Calling feature for a caller. Since the call center is the first point of contact between businesses and customers, so many things need to be addressed to make call center software effective. The advent of service with tools to provide exceptional customer service is essential for the success of a business. The first step is to identify the most convenient functionality. Now we will take a look at the functionality of the call center software so that you can get the information about which features are necessary for the daily operation of the call center and what can be done to create a product with those features. Employee profiles: Management of current customer profiles is a basic functionality of any call center software. The call center teams handle data about established customers, combines new leads and creates new accounts based on phone calls. It is important that agents can easily add original customer information – name, country, payment, client rating and comments. Agent Profile. They contain public information that can be seen by customers, such as name, department, skill set, language and rating. This information ensures that agents are easily searching for their expertise online by customers. Call recording is an integral aspect of quality management in call centers. Typically call recording is used for training. They can help the agents to understand where they are wrong and can find out how they can improve. Call routing determines who is calling and where the call is routed. This caller ID can be an automated process based on information or it can be policy-based, keeping in mind that who is calling, but who is available to receive the call, what will be the conversation and what is this Time or day will be. The call queue is used so that customers are told that they have to wait after they are told, do not hang them. Call queues organize agents in specific queues based on defined logic and route call-gards to those queues that will respond best to their needs. Recycling ensures that if their call is disconnected when talking to an agent, they will be automatically sent back to the agent who was helping them on the call. If the agent is already busy on any other call, the caller will be given priority in line to reduce his waiting time. Automatic call delivery can make a call for the most appropriate agent based on criteria such as knowledge, demographics or language without intelligent participation in the process while collecting information and information. 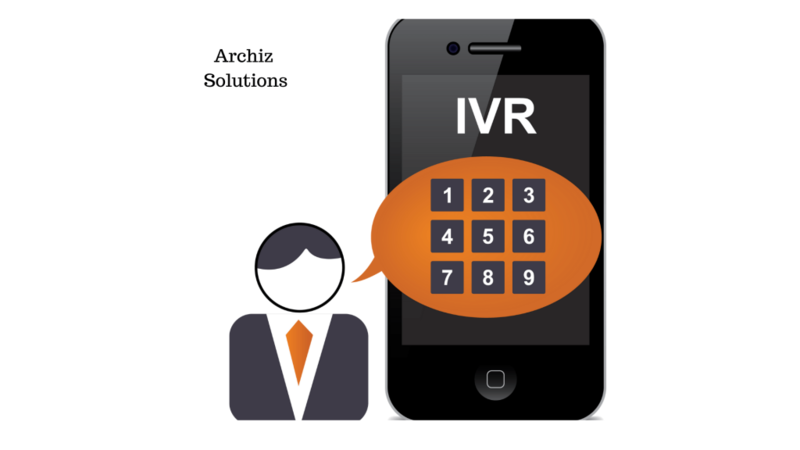 The IVR system cares to be connected to an agent before and after calling. For example, waiting in the queue in the IVR system may include greeting messages, a service sign menu or message. This facility allows supervisors to see the complexity of their call center at a glance, in which the delegates are on the call, who are busy, and who is available to receive calls. A reporting facility provides matrix and analytics which gives call center supervisors immediate insight into the performance of their call center team, in which the number of calls/agents/ departments per day, average call period, average abandonment rate, wait time, service Level and many more. Reports can be customized with charts and graphs that help to visualize this data, and they are able to improve both the total productivity of a call center team and individual agents interaction with callers. Integration increases the functionality of the call center system to a large extent, in order to secure the customer/caller information, strengthen customer data, strengthen customer relationships and perform other tasks on a single platform. Allows the app to work with. Allows callers to leave messages for agents when this feature is available. Advanced systems are able to transcribe messages or email them to agents so that messages can be placed within the activity feed. There are many common methods of making money with call center software. Now we are going to show you examples of companies that are effectively monetizing their call center software. For example Salesforce, Archiz CRM Solution, Pipedrive, Agile CRM and so on. Ready to Custom call center software that allows any business to grow and grow? The biggest reason for having call center software is the guarantee of a profit increase by reaching more real people than the agents, otherwise, they can do if hand-dialed. With call center software, people can invest their money in expanding their business and create customer relationships that are more personal and productive. If you are looking for an easy, low-cost way to provide a brilliant overall customer experience, you need a sub call, such as a recently developed product such as call center software. Want to Custom call center software product with a reliable and experienced team? Feel free to connect with us and discuss your business needs. Book Free DEMO- Call center Software Solutions.